A warrior uses every part of their body to deliver strong, agile attacks. Just a simple injury can quickly remind the fighter of this fact. Protectively shield your forearms in the comfort and style of the Anvard Leather Bracers. 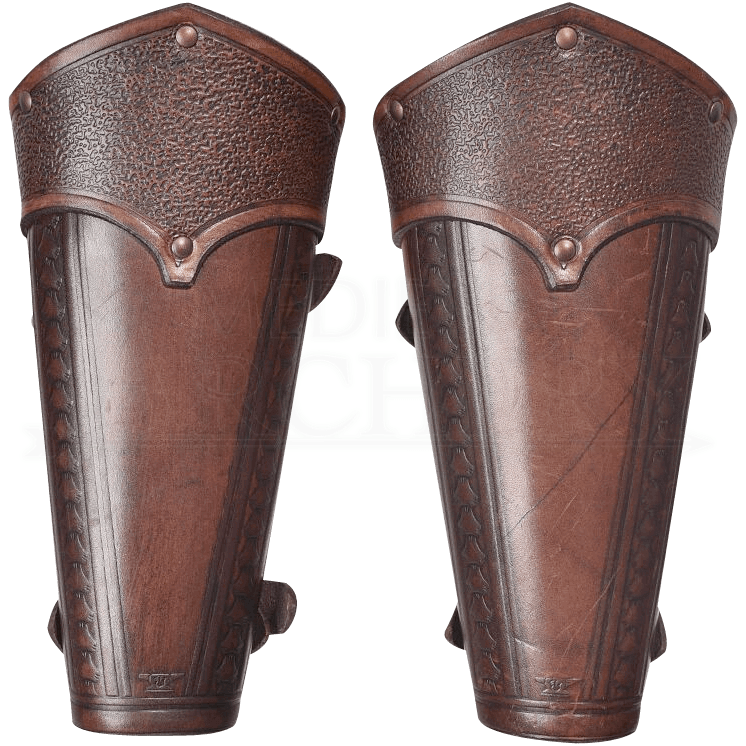 These leather arm guards are made from 7-8 oz. leather and are well suited for LARP and practice activities. Admire the distressed finish of the upper cuff and the embossed pattern trailing the lower. Ensure proper fit and comfort with the two adjustable buckle straps that enclose the back. 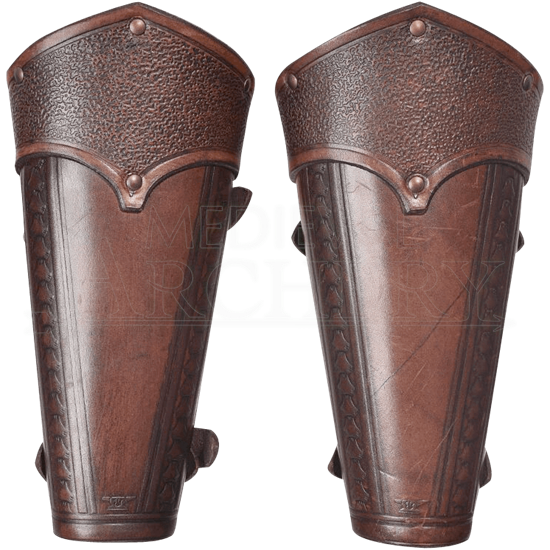 This pair matches perfectly with the Antonius Leather Cuirass and the Anvard Leather Greaves. Ready yourself for battle while adorned with these bracers.